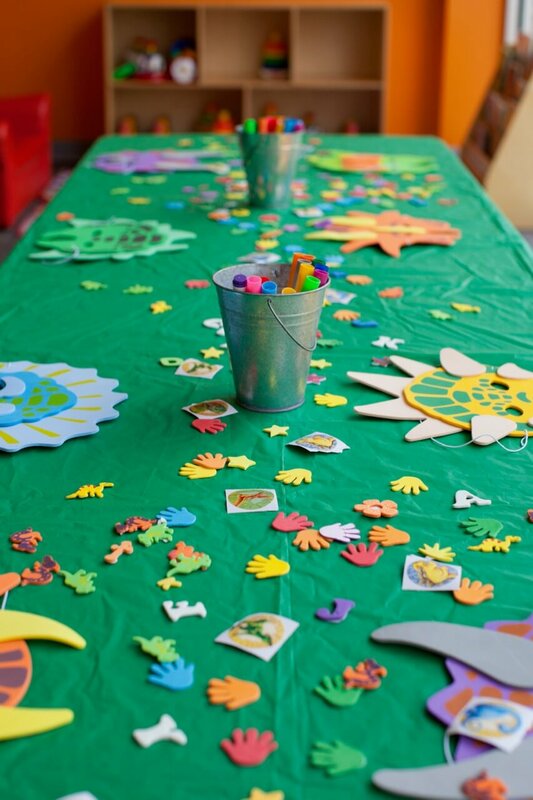 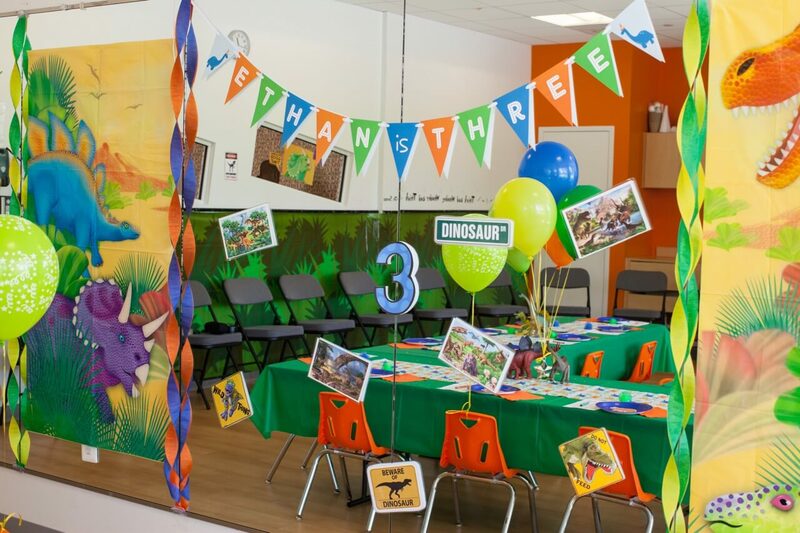 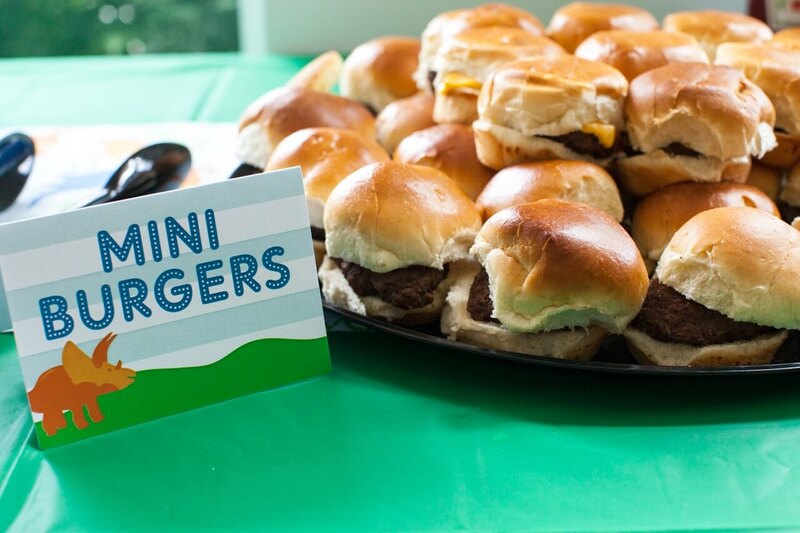 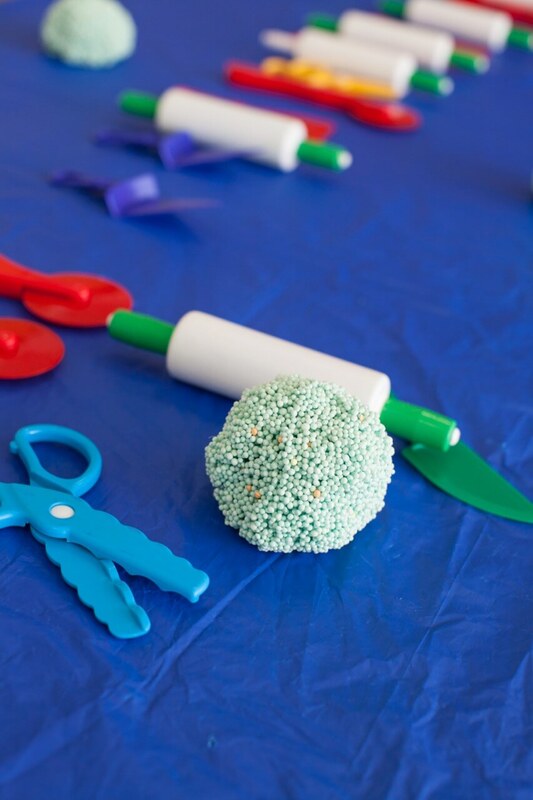 Three year old little boys dreams are made of a dinosaur birthday party! 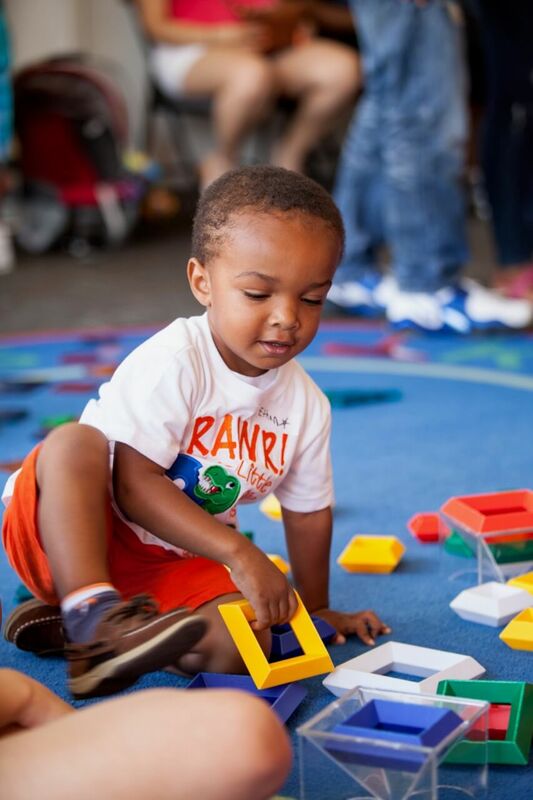 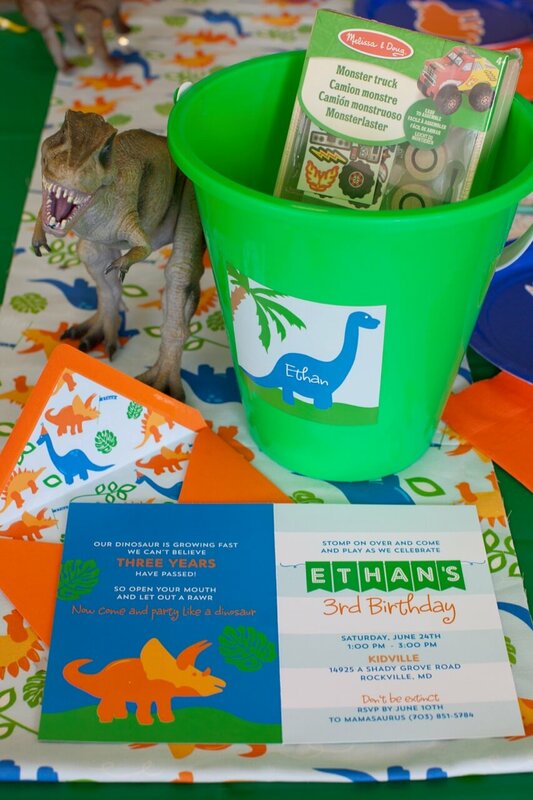 If you follow us at all, then you probably already know Ethan from his first birthday which was Dr. Seuss themed, or his 2nd birthday, which was Curious George! 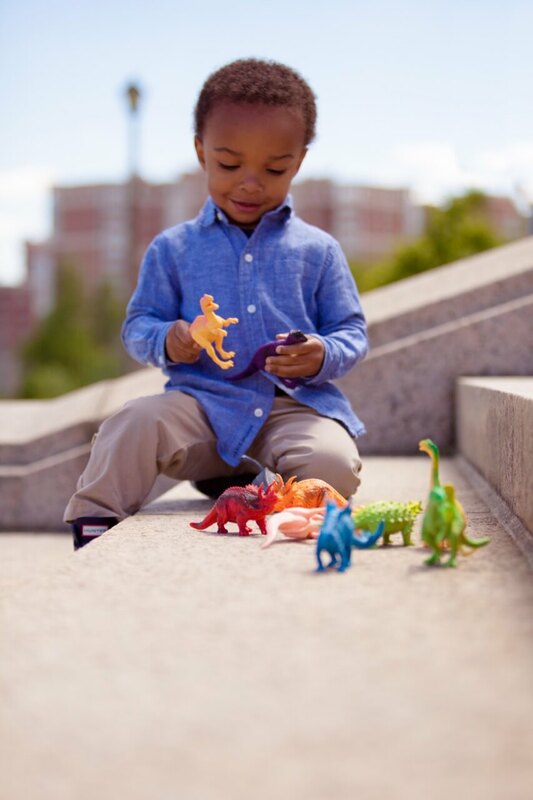 Now this bog boy is all about the dinosaurs!! 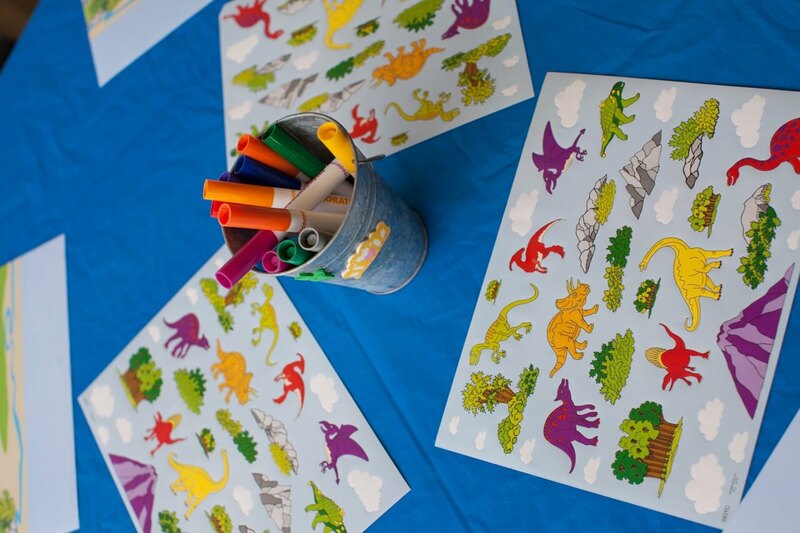 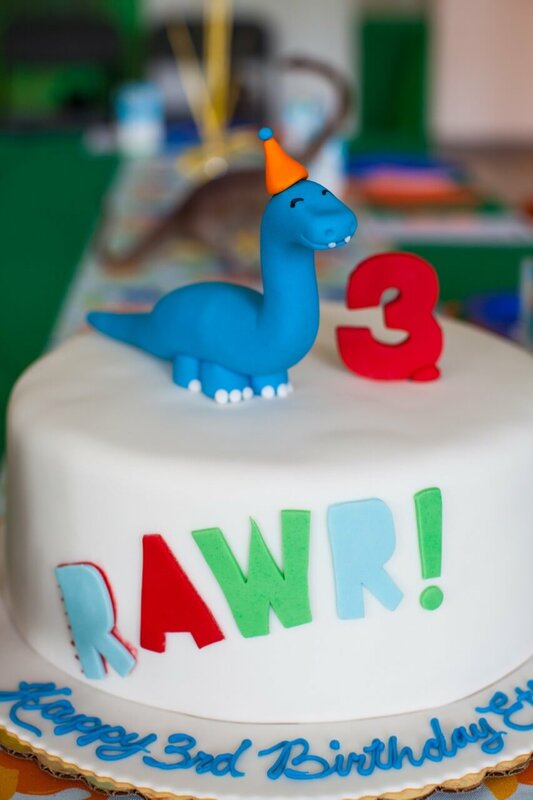 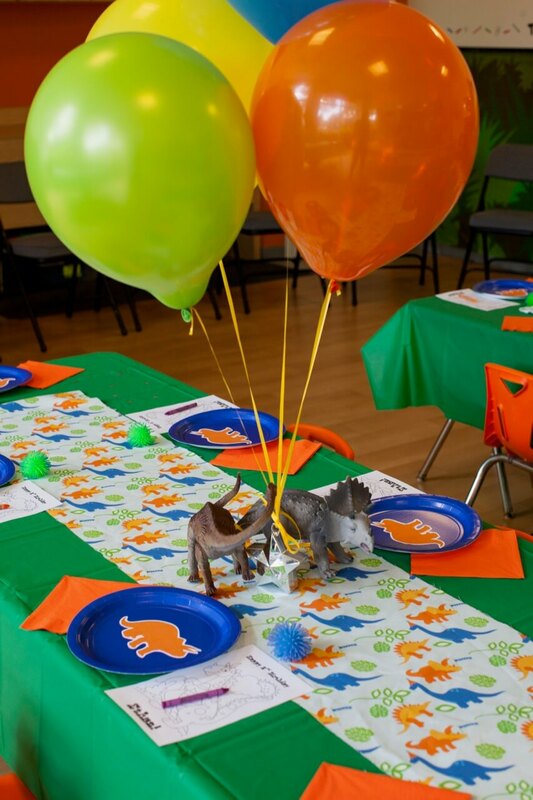 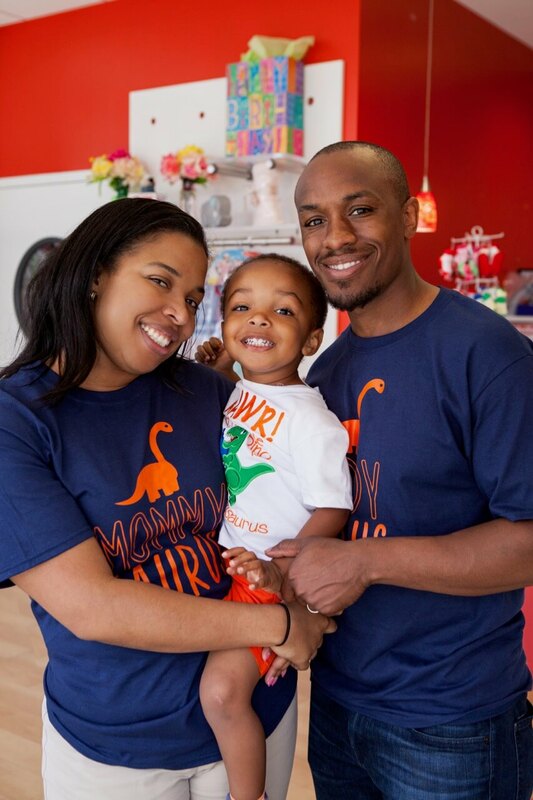 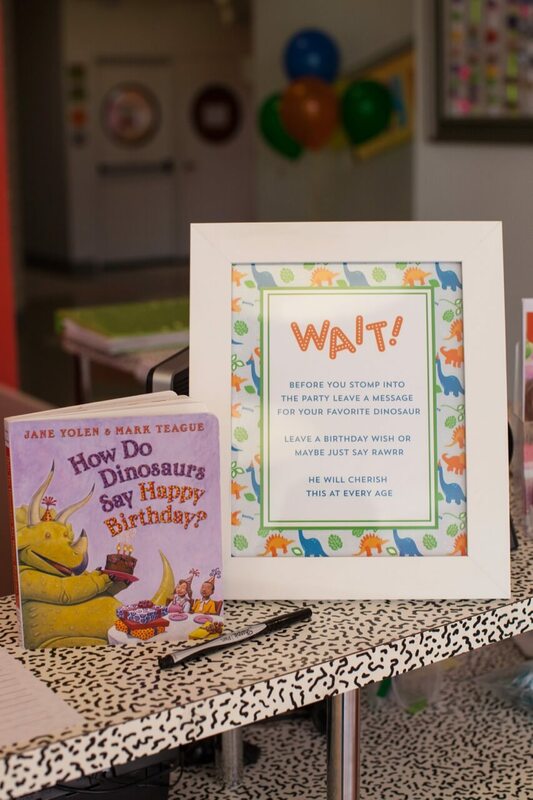 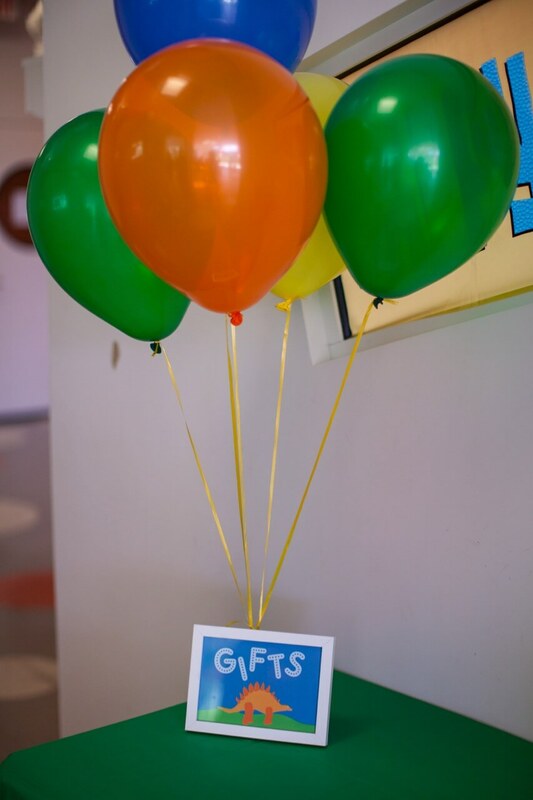 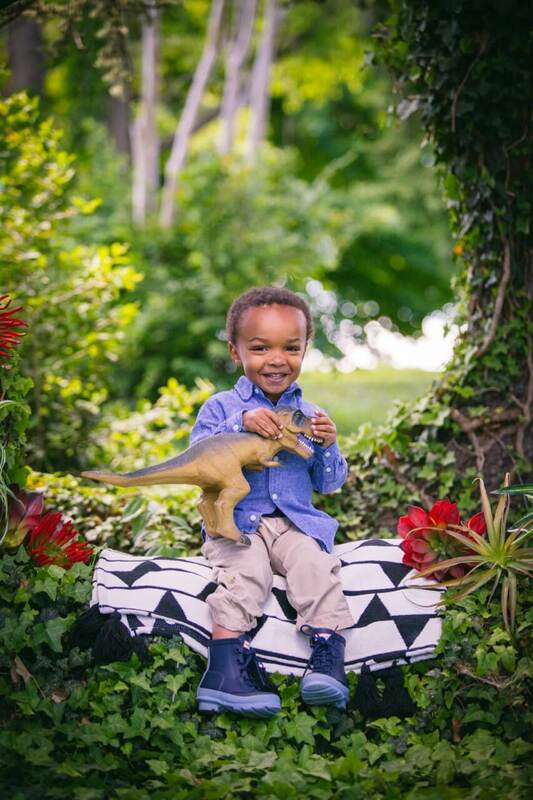 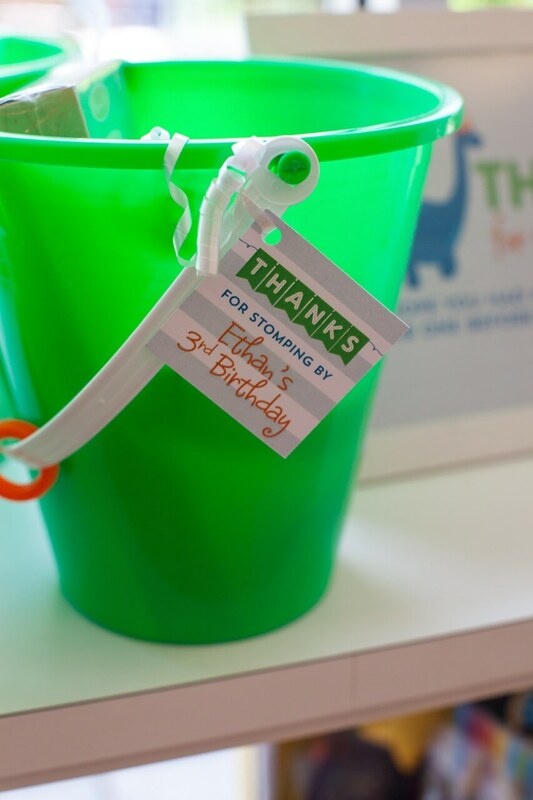 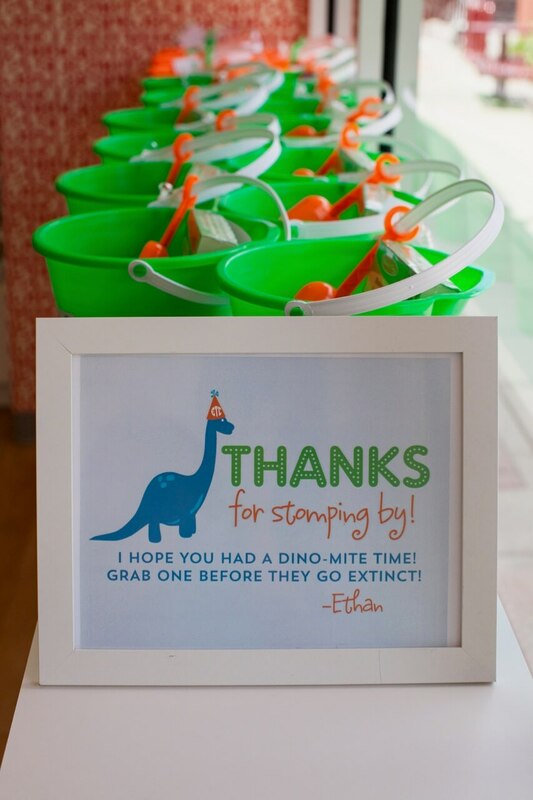 Ethan’s mom Jessica wanted a bright and playful dinosaur themed birthday and we absolutely love this color scheme! 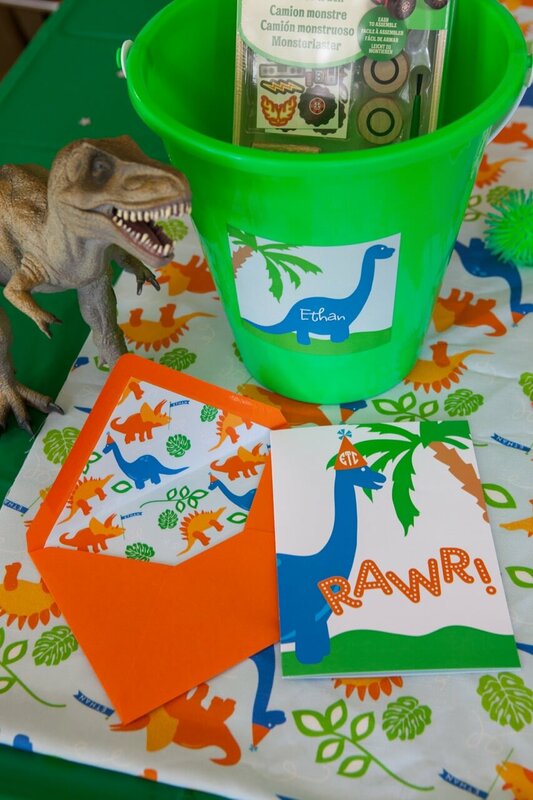 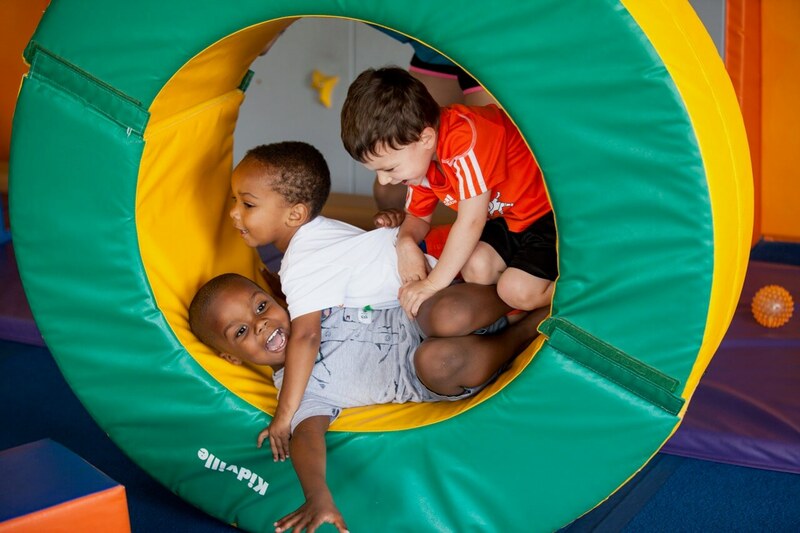 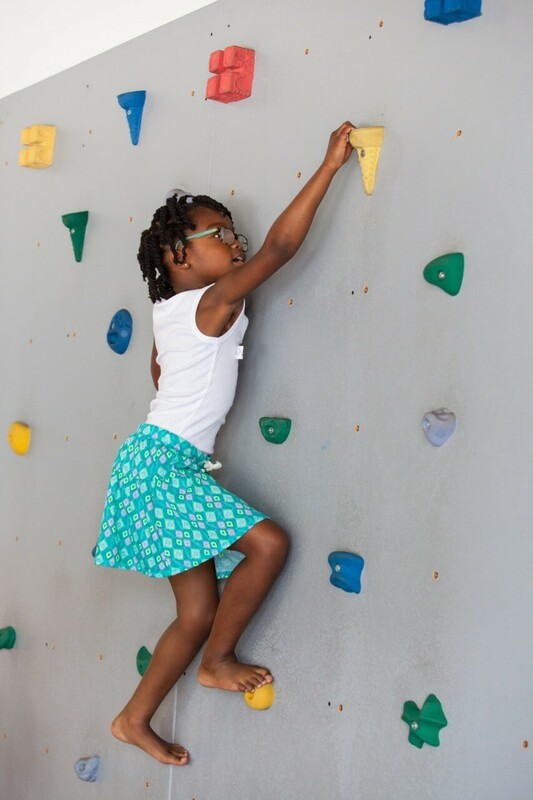 They can sometimes be scary, and the bright orange, blue, and green just makes it so fun! 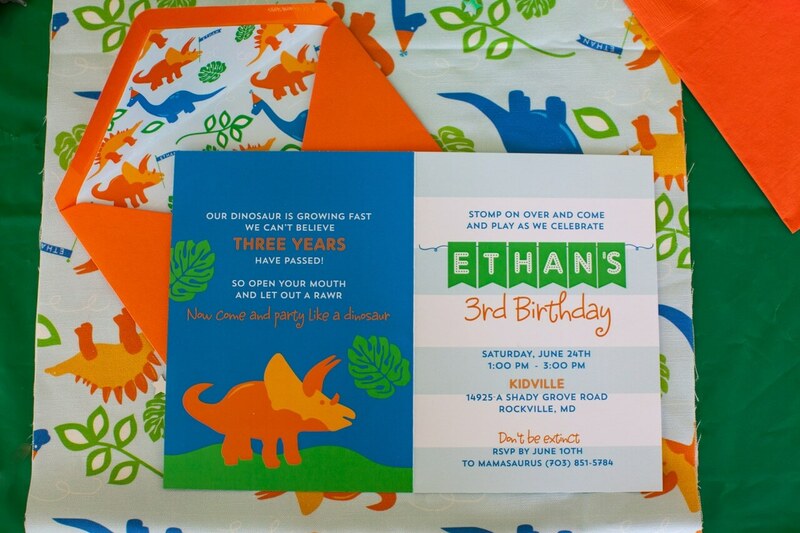 We of course began with the invitation which was a bi fold card and a signature lined envelope with a fun pattern we designed! 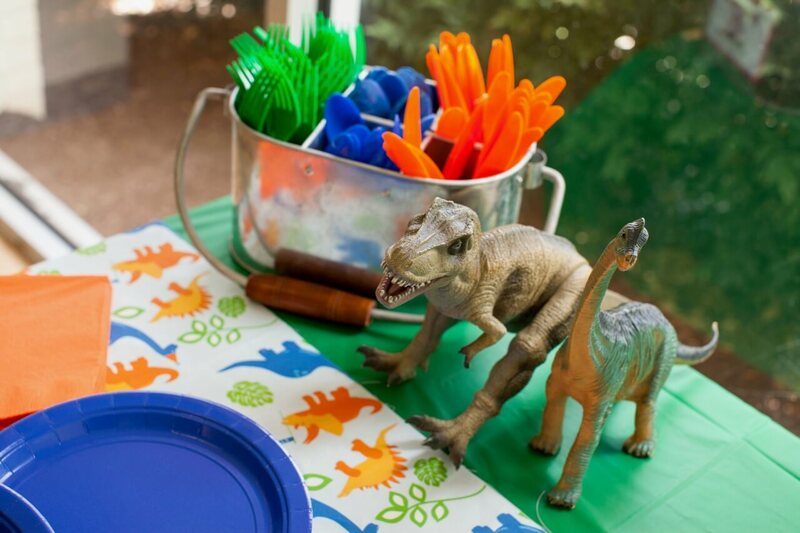 Jessica then ordered fabric from us, to use as the table runner at the party! 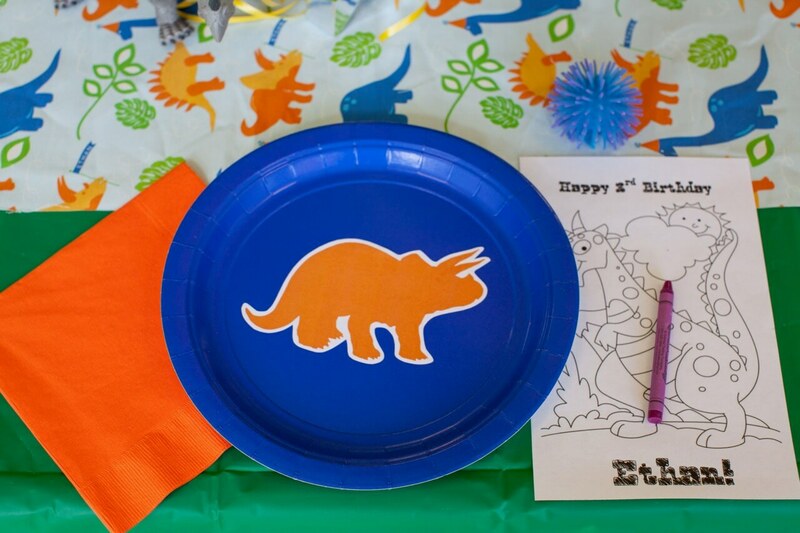 We absolutely love how it all coordinates and was such a pop on the table amongst the solid colored plates, napkins, and plastic utensils! 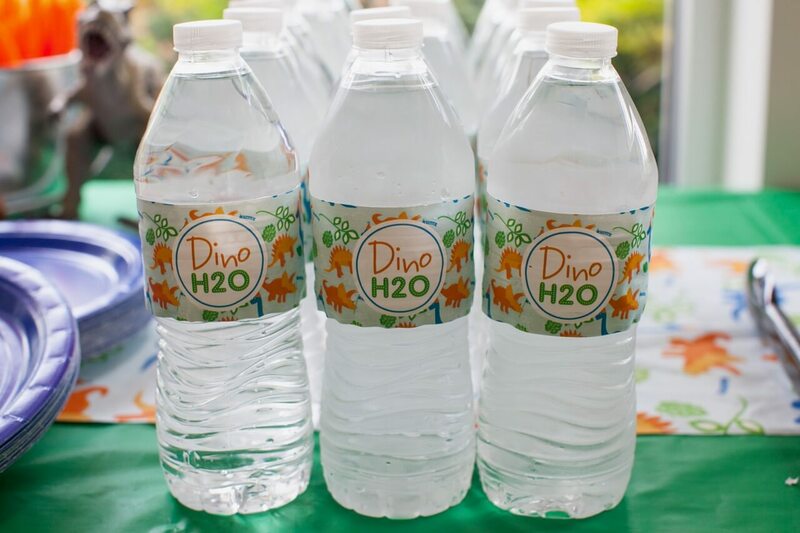 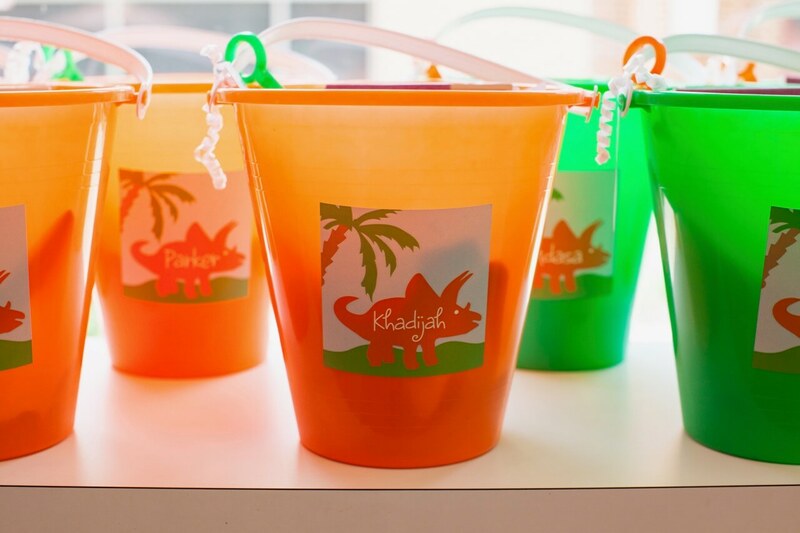 Of course we designed some personalized stickers for pails she found to put everyone’s favors in, and the cutest “dino water” bottle labels with the same fun pattern! 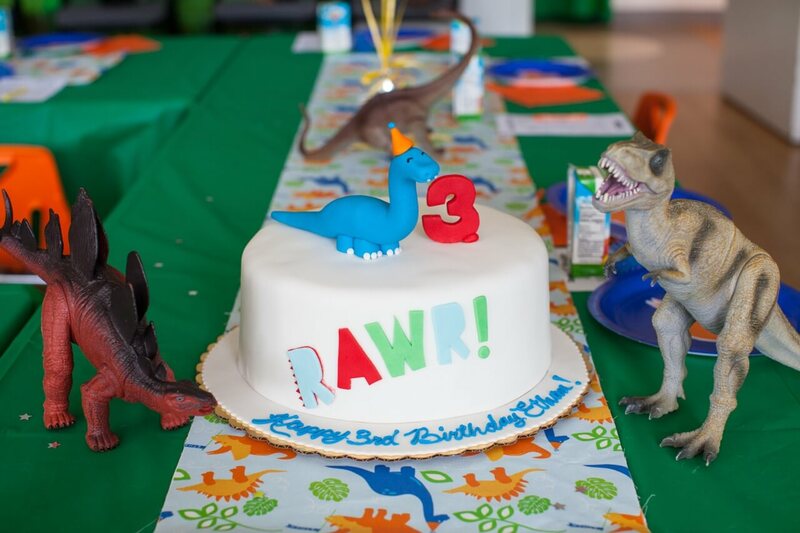 The dinosaur birthday cake was over the top and of course, we love!!! 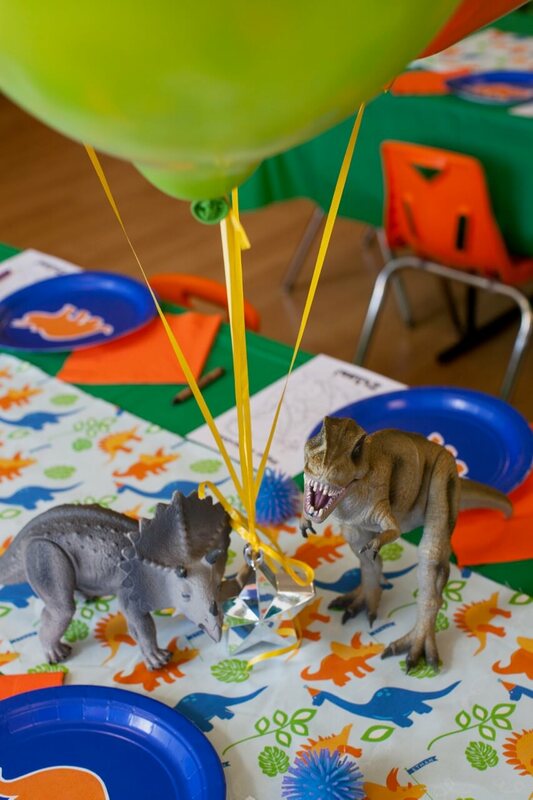 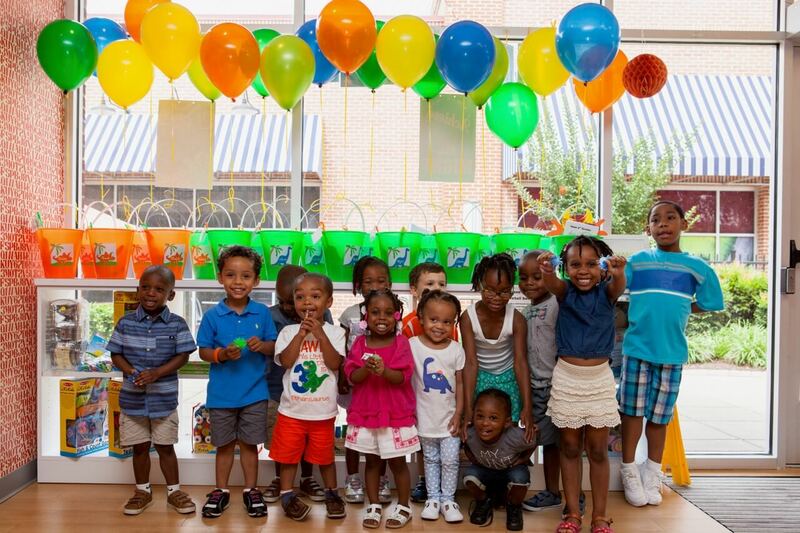 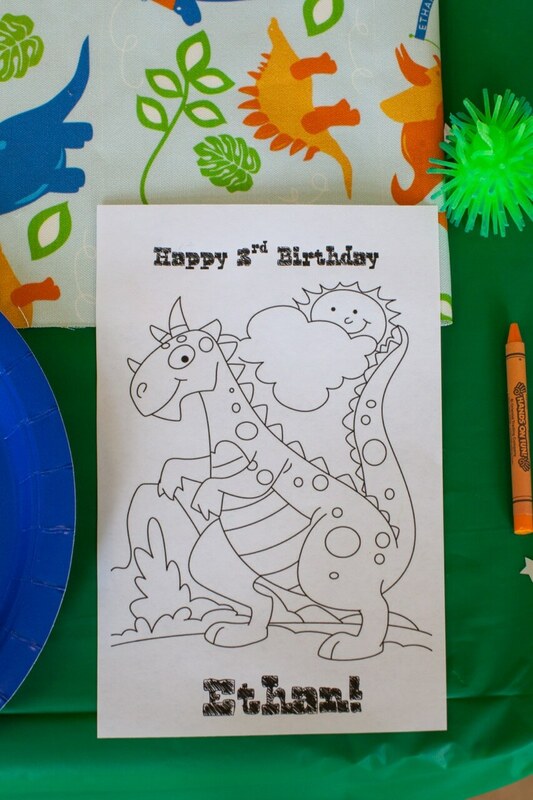 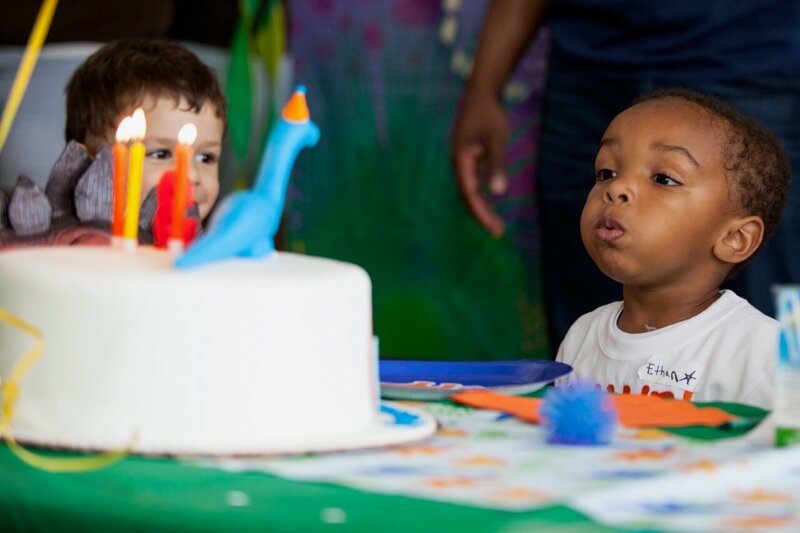 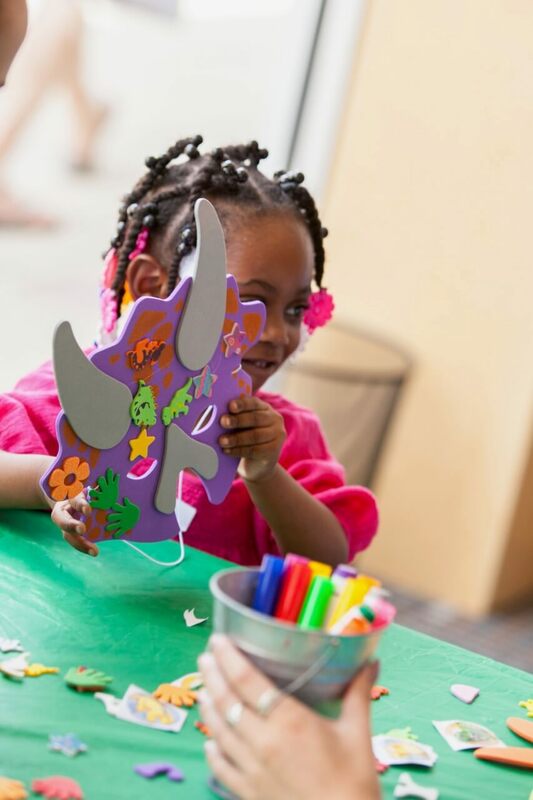 This dinosaur birthday was dino-mite!